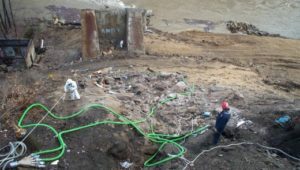 In preparation of demolition of a 1930’s bridge, PENNDOT encountered lead in the soil beneath the span. 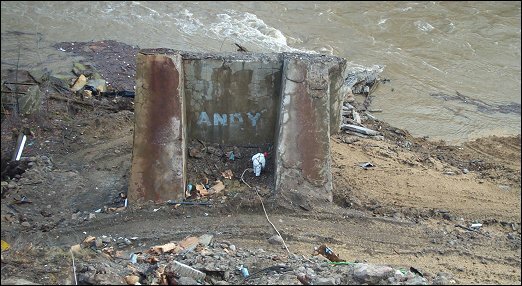 Lead had reached the soil from the paint as it weathered through the years and from past sandblasting operations to prepare the bridge for repainting. 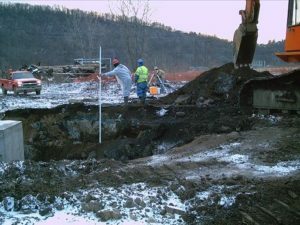 Removal of the contaminated soil was required for the project to continue. 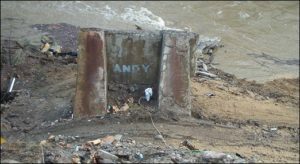 High concentrations of lead were determined through analystical testing in the top 12 inches of soil. The soil was a mix of loose granulated slag and sandy loam. The hillside beneath the bridge was steep with a 1-to-1 slope (45 degrees) and about 150 feet long. 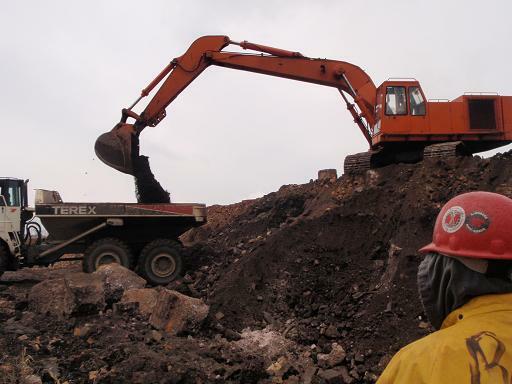 The long, steep slope made use of conventional excavating equipment impractical and dangerous. Instead, Neumeyer Environmental utilized a HEPA filtered high-volume vacuum pump. 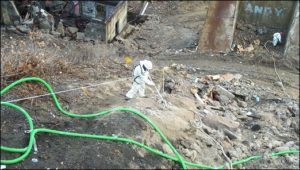 Workmen traversed the slope, tethered to supporting ropes with full body harnesses, and pumped the contaminated soil using five-inch diameter vacuum hoses. The vacuum transferred the soil up the slope to a bagging station. 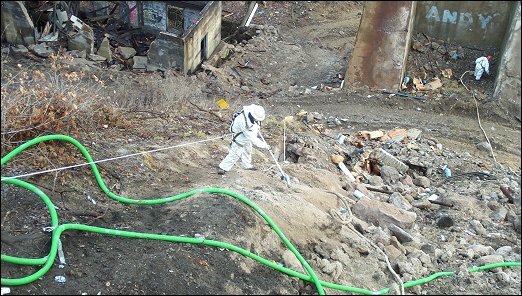 Tthe contaminated soil was disposed at regulated facility. 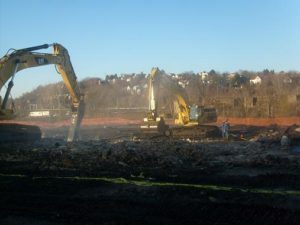 Neumeyer Environmental removed 817 tons of contaminated soil from the slope in two weeks. Stemple & Ward purchased a public transportation garage and converted it to an electric motor winding facility. Years afterwards, gasoline odors began seeping through the sewage vents. 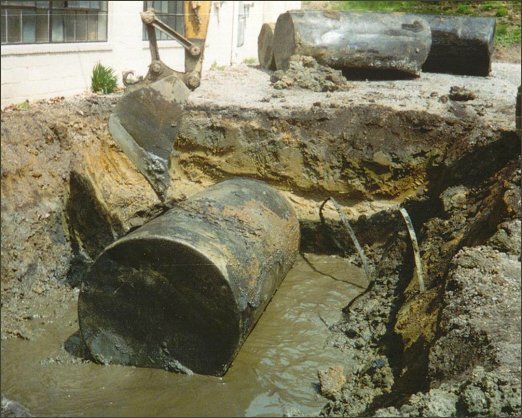 Investigation identified four historic 5,000 gallon underground storage tanks previously used for leaded gasoline. The tanks had leaked into the surrounding subsoils and migrated into the storm sewers. Neumeyer Environmental used ground-penetrating radar to locate the tanks. We excavated the tanks and removed the mix of water and product. 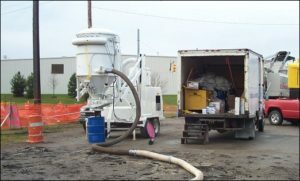 Neumeyer Environmental shipped 20,000 gallons off-site to a recycler for processing. 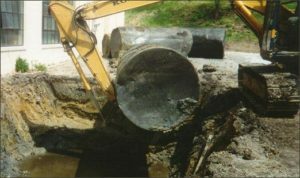 Neumeyer Environmental purged the tanks of flammable gas, removed and disposed them at a licensed tank disposal facility. 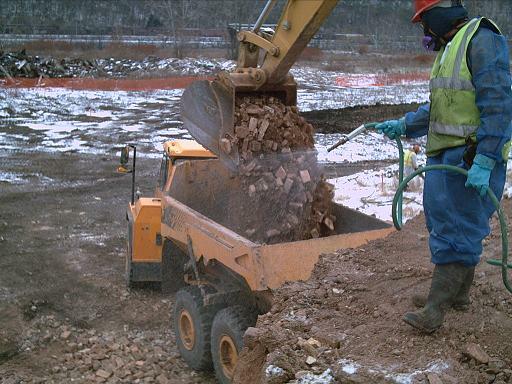 2,500 tons of adjacent subsoils required removal and disposal at a regulated facility. The Pennsylvania Turnpike Commission constructed a new interchange at Warrendale (Milepost #31). An abandoned gasoline station built in the 1950s had occupied part of the construction site. The gas station’s ten gasoline and diesel tanks, ranging from 3,000 to 10,000 gallons capacity, had leaked fuel into the soil. Cleanup was required prior to the beginning of new construction. Neumeyer Environmental excavated 3,000 tons of contaminated soil and transported it to a thermal processing facility where it was cleaned for recycling for use as roadway subbase on the project. Neumeyer Environmental removed and disposed of 100 tons of hazardous soil, 1,000 gallons of contaminated liquids, and the remnants of the underground fuel system. We also decontaminated and disposed of the old fuel tanks. 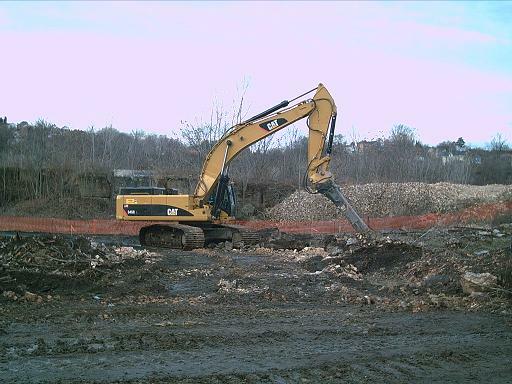 Our ability to recycle the contaminated soil substantially reduced our client’s disposal costs. The construction project proceeded on clean land. This project was completed on-schedule and on-budget.